Fifty years ago, there was a seismic shift away from the longstanding belief that Earth's continents were permanently stationary. In 1966, J. Tuzo Wilson published Did the Atlantic Close and then Re-Open? in the journal Nature. The Canadian author introduced to the mainstream the idea that continents and oceans are in continuous motion over our planet's surface. Known as plate tectonics, the theory describes the large-scale motion of the outer layer of the Earth. 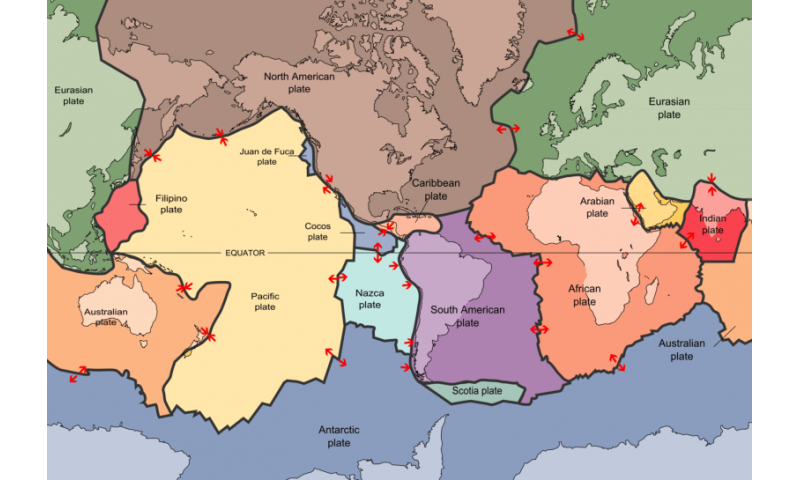 It explains tectonic activity (things like earthquakes and the building of mountain ranges) at the edges of continental landmasses (for instance, the San Andreas Fault in California and the Andes in South America). At 50 years old, with a surge of interest in where the surface of our planet has been and where it's going, scientists are reassessing what plate tectonics does a good job of explaining – and puzzling over where new findings might fit in. He noted that the Earth's current landmasses could fit together like a jigsaw puzzle. 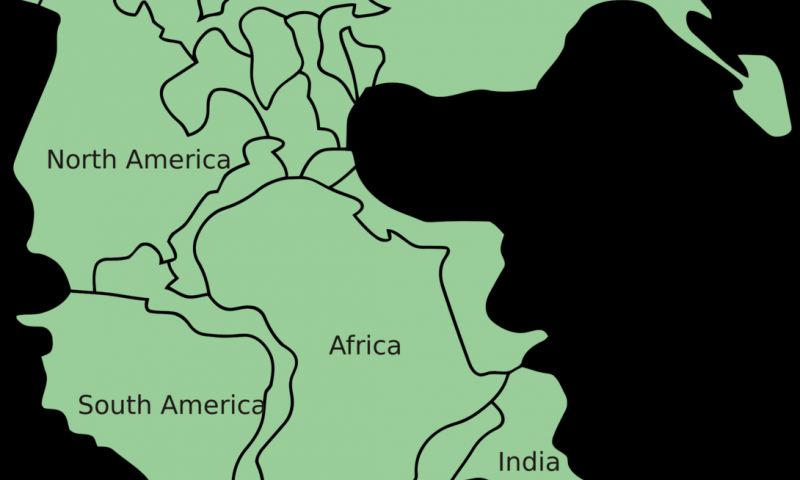 After analyzing fossil records that showed similar species once lived in now geographically remote locations, meteorologist Wegener proposed that the continents had once been fused. But without a mechanism to explain how the continents could actually "drift," most geologists dismissed his ideas. His "amateur" status, combined with anti-German sentiment in the period after World War I, meant his hypothesis was deemed speculative at best. And there it was: proof our planet's continents were not stationary. Earth's crust and top part of the mantle (the next layer in toward the core of our planet) run about 150 km deep. Together, they're called the lithosphere and make up the "plates" in plate tectonics. We now know there are 15 major plates that cover the planet's surface, moving at around the speed at which our fingernails grow. Based on radiometric dating of rocks, we know that no ocean is more than 200 million years old, though our continents are much older. 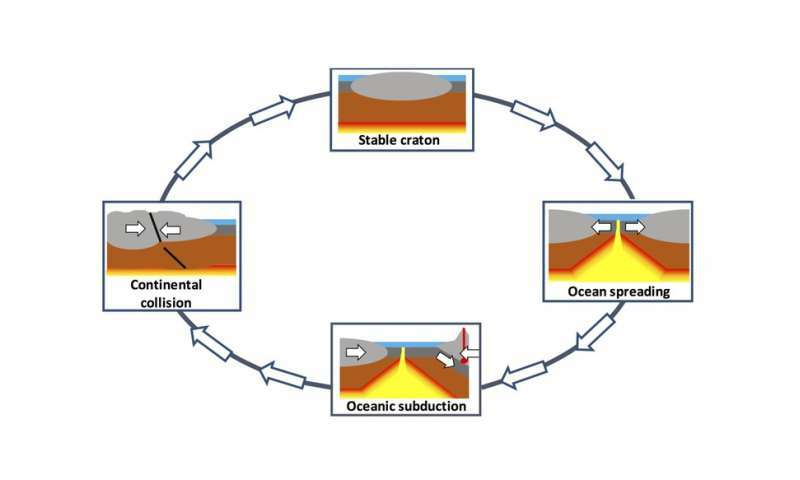 The oceans' opening and closing process – called the Wilson cycle – explains how the Earth's surface evolves. A continent breaks up due changes in the way molten rock in the Earth's interior is flowing. That in turn acts on the lithosphere, changing the direction plates move. This is how, for instance, South America broke away from Africa. The next step is continental drift, sea-floor spreading, ocean formation – and hello, Atlantic Ocean. In fact, the Atlantic is still opening, generating new plate material in the middle of the ocean and making the flight from New York to London a few inches longer each year. Oceans close when their?? tectonic plate sinks beneath another, a process geologists call subduction. Off the Pacific Northwest coast of the United States, the ocean is slipping under the continent and into the mantle below the lithosphere, creating in slow motion Mount St Helens and the Cascade mountain range. In addition to undergoing spreading (construction) and subduction (destruction), plates can simply rub up against each other - usually generating large earthquakes. These interactions, also discovered by Tuzo Wilson back in the 1960s, are termed "conservative." All three processes occur at the edges of plate boundaries. Over the past 20 years, improved computer power and mathematical techniques have allowed researchers to more clearly look below the Earth's crust and explore the deeper parts of our plates. Globally, we find many instances of scarring left over from the ancient collisions of continents that formed our present-day continental interiors. 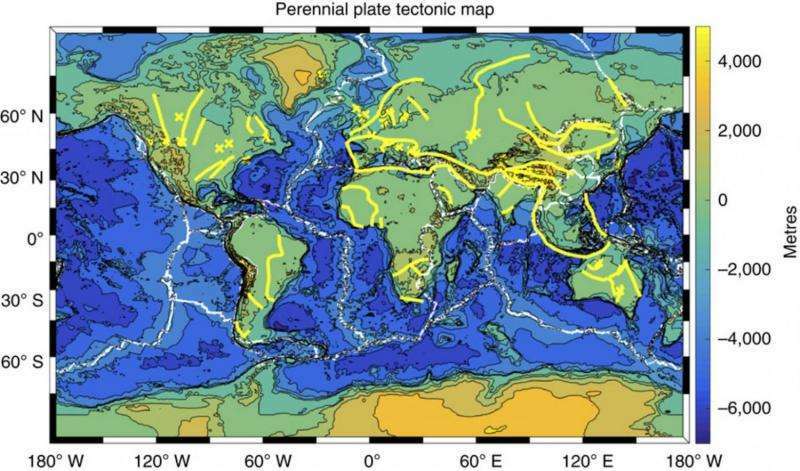 A map of ancient continental collisions may represent regions of hidden tectonic activity. These old impressions below the Earth's crust may still govern surface processes – despite being so far beneath the surface. If these deep scarred structures (more than 30 km down) were reactivated, they would cause devastating new tectonic activity. Modern geophysical imaging also shows two chemical "blobs"at the boundary of Earth's core and mantle – thought to possibly stem from our planet's formation. These hot, dense piles of material lie beneath Africa and the Pacific. Located more than 2,900 km below the Earth's surface, they're difficult to study. And nobody knows where they came from or what they do. When these blobs of anomalous substance interact with cold ocean floor that has subducted from the surface down to the deep mantle, they generate hot plumes of mantle and blob material that cause super-volcanoes at the surface. The early Earth's interior had significantly hotter temperatures – and therefore different physical properties – than current conditions. Plate tectonics then may not be the same as what our conventional theory dictates today. What we understand of today's Earth may have little bearing on its earliest beginnings; we might as well be thinking about an entirely different world. So far, amazingly, Earth is the only planet we know of that has plate tectonics. In our solar system, for example, Venus is often considered Earth's twin - just with a hellish climate and complete lack of plate tectonics. Incredibly, the ability of a planet to generate complex life is inextricably linked to plate tectonics. A gridlocked planetary surface has helped produce Venus' inhabitable toxic atmosphere of 96 percent CO₂. On Earth, subduction helps push carbon down into the planet's interior and out of the atmosphere. It's still difficult to explain how complex life exploded all over our world 500 million years ago, but the processes of removing carbon dioxide from the atmosphere is further helped by continental coverage. An exceptionally slow process starts with carbon dioxide mixing with rain water to wear down continental rocks. This combination can form carbon-rich limestone that subsequently washes away to the ocean floor. The long removal processes (even for geologic time) eventually could create a more breathable atmosphere. It just took 3 billion years of plate tectonic processes to get the right carbon balance for life on Earth. A theory works now, but what's in the future? Fifty years on from Wilson's 1966 paper, geophysicists have progressed from believing continents never moved to thinking that every movement may leave a lasting memory on our Earth. It's hard to understand what our future holds if we don't understand our beginning. By discovering the secrets of our past, we may be able to predict the motion of our plate tectonic future.